Since their inception in 1994, the bi-annual ANTS meetings have become the premier international forum for the presentation of new research in computational number theory. They are devoted to algorithmic aspects of number theory, including elementary number theory, algebraic number theory, analytic number theory, geometry of numbers, algebraic geometry, finite fields, and cryptography. 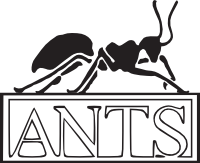 The 12th ANTS meeting will be held at the University of Kaiserslautern, Germany, on August 29 – September 2, 2016. Information on the conference dinner can be found here. There will be a hike. Early bird registration has been extended to June 30. The deadline for poster submissions has been extended to June 30. Call for posters is now open. See here for details. Registration is now open. See here for details. Acceptance/rejection notifications have been sent. The deadline for submissions has been extended to February 22. We now have a conference poster. See here for details. Paper submission is now open. See here for details. At each ANTS meeting, the Selfridge Prize is awarded to the best submitted paper as judged by the program committee; this year the prize carries a $1000 cash award funded by the Number Theory Foundation. The workshop gratefully acknowledges support from the DFG and the Number Theory Foundation.